When the 119-year-old Godrej group decided to go for an image makeover eight years ago, it roped in international advisory Interbrand for a valuation of its brand. The idea was to not just gauge the financial prowess of brand Godrej (valued at $3 billion by Interbrand in 2010) but also facilitate strategic decisions such as rejigging product portfolios and connecting more deeply with consumers. The valuation exercise and its diagnostics were a means to help grow the brand value. On the other hand, for industrialist Vijay Mallya, the valuation of ₹4,100 crore for the Kingfisher Airlines brand served another purpose. The brand became the single largest collateral for loans exceeding ₹9,000 crore. That valuation, carried out by Grant Thornton in 2011, is now under scrutiny. Mallya is certainly not alone in using a well-known brand to raise money. New Delhi-based LT Foods also used its Daawat rice brand to raise debt back in 2008-09. As things stand, companies across sectors are opting for brand valuation to meet various objectives. The hospitality sector, including hotel chains and airlines, is using it to improve customer connect while the engineering sector focuses on intangible value creators like intellectual property (IP) and research and development. The biggest users, however, are the FMCG and consumer durables firms, which seek to unlock their brand portfolio and optimise marketing investment. “Consumers today have far more choices and their attention is divided. Brands need to cut through this. Moreover, the cost of marketing is escalating and is a big consideration when introducing a new brand or extending an existing one,” says Shireesh Joshi, COO, strategic marketing group at Godrej. Brand valuation allows the company to assess the brand’s strength, both qualitatively and quantitatively, by putting a science behind it. This, in turn, impacts the company’s strategic decisions including international forays or acquisitions. Brands include the names, terms, signs, symbols and logos that identify goods, services and companies. But brand value is not just a financial number. “It is a measure of several factors like loyalty of customers, the ability of a brand to keep offering newer products and technology, and the connect with consumers, who give it a premium,” says Ajimon Francis, India head and CEO for global brand consultancy Brand Finance. “A brand is an image, comprising a bundle of promises on the company’s part and expectations on the consumer’s part that have been met. 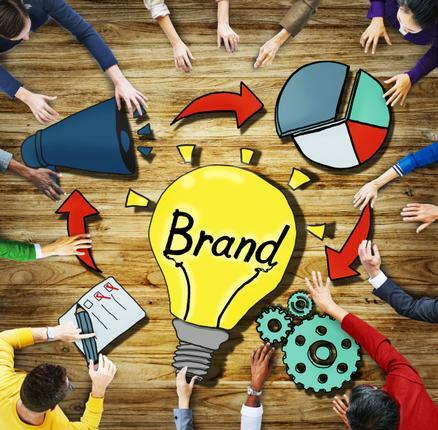 If a customer perceives a higher value in a brand, she will be ready to pay a premium for it,” says Devangshu Dutta, chief executive of consultancy Third Eyesight. The UK’s Reckitt Benckiser knows this all too well. In 2010, it paid ₹3,260 crore to buy Ahmedabad-based Paras Pharmaceuticals, the maker of brands like D’Cold, Krack and Moov. The deal valuation was eight times Paras’s sales of ₹401.4 crore and largely attributed to the strength of the company’s key brands. Interbrand MD Ashish Mishra says brand is a key factor in calculating the premium pricing in M&As. “Often, it is the latent potential of the brand that is driving this premium, through its ability to enter new markets and extend into adjacent categories. A broad skill set — combining market research, brand, and business strategy with business case modelling — is required to quantify the latent financial potential of the target brand,” he says. Additionally, the brand valuation methodology can be used to complement the other processes involved in setting royalty rates. “By identifying the value created by a brand for its business, combined with an evaluation of the relative bargaining power of the parties involved, we can determine the proportion of brand value that should be paid out as a royalty rate in return for the right to exploit the brand,” he adds. A case in point is the Tata group. Brand Finance had valued the Tata brand at ₹1.3 lakh crore in 2015. While Tata Sons, the brand’s owner, has not valued it, group companies have to pay royalty for using it. Under a 1996 agreement, Tata Brand Equity and Business Promotion companies using the Tata name directly pay 0.25 per cent of the annual revenue or 5 per cent of the profit before tax, whichever is less, as royalty. Companies using the brand indirectly pay 0.15 per cent of the turnover. The overall annual payout has now been capped at ₹75 crore. While Mallya may have made the cleverest use of brand valuation, the Godrej group used it to the hilt to reposition itself and connect better with youth. It came up with the new proposition of ‘Brighter Living’ in 2008 and launched newer products like door cameras, air fresheners and personal repellents to target younger consumers. More importantly, the valuation exercise helped Godrej reinvent its design language. “For long, Godrej has been known to be a sturdy engineering brand and one of the important directions it needed to become much stronger was emotional attachment with its customer base,” says Joshi. Over the last few years it has greatly focused on design across its divisions and offerings, be it Godrej properties, furniture or consumer products. “Great design, in addition to great function, ends up creating a great bond with consumers. The valuation exercise added scientific support to what people had been feeling all along,” he adds. Not just in stepping up business, brand comes into play equally in shutting down unviable ones, as Raymond did with its Zapp! kidswear brand. Launched with much fanfare in 2006, the brand didn’t take off as the market was not ready to pay premium pricing (starting at ₹2,000) for kidswear. “Brand valuation helps the management understand how a brand is moving along with other brands and whether it is able to keep pace. They can accordingly decide its future,” says Francis. Despite the growing need for brand valuation, there is no standard methodology in use. The ISO 10668 standard specifies a framework for brand valuation, including objectives, bases and methods of valuation besides sourcing of data and assumptions. It also specifies methods for reporting the results of such valuation. But it remains a voluntary standard as of now. “It is globally accepted by large valuation firms as well as regulators and financial institutions. But following it is a subjective matter,” says Francis. His firm, Brand Finance, follows the Royalty Relief method, which determines the value a company would be willing to pay to license its brand as if it did not own it. It involves estimating the future revenue attributable to a brand and calculating a royalty rate that would be charged for the use of the brand. Mishra points out that Interbrand’s valuation model has three core components — an analysis of the financial performance of the branded products or services, the role the brand plays in the purchase decision, and the competitive strength of the brand. “These are preceded by a decision on segmentation and, at the end of the process, are brought together to enable the calculation of a brand’s financial value,” he says. But what happens when a company that mortgaged its trademarks with financial institutions to raise funds goes bust? “This (Kingfisher case) is a unique situation… When a trademark is used as an asset for lending, one of the disciplines which global financial institutions follow is a rigorous tracking of the profit-and-loss account and cash flows of the company. If the business faces a setback, the value of the trademark falls drastically,” says Francis. It appears then that due care was not taken in the Kingfisher case. Whether banks will ever recover the money from Mallya is not known. But what is certain is that financial institutions will now be more careful in setting much store by mere brand power. After all, like any other power, this is liable to fluctuate too.